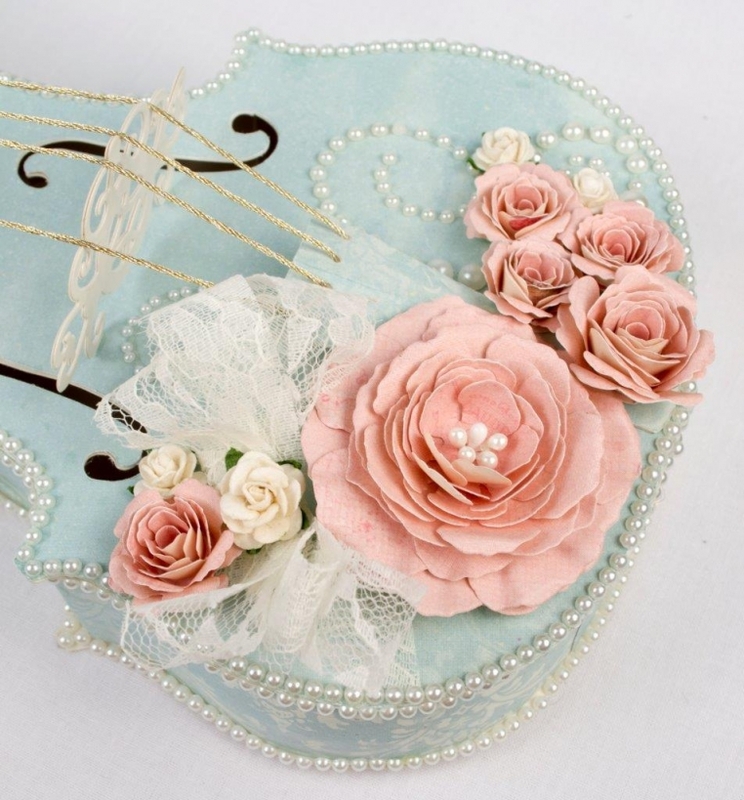 I made this violin box using the soft, lovely blue Poem of Spring and then decorated it with contrasting flowers from Vintage Garden. Wauw!! This is so lovely!! this is amazing, so beautiful. This is realy amazing to soooooo be proud of! I was looking for a template cann’t find it. Do you no were I can find it! 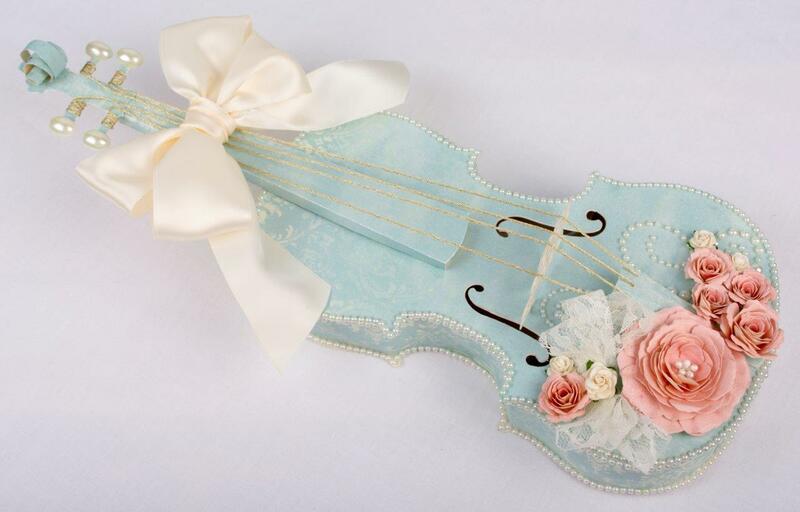 Hi Xandry and Karen – I made this violin using my Pazzles Inspiration software. The violin face is a cutting file from the Pazzles Craft Room. I took this cutting file and then designed it into a 3-dimensional project. The top of the violin box does lift up. I sized the project at about 15″ length, 5 1/2″ width, and 1 1/2″ depth. This is such a gorgeously wonderful project it makes my heart ache because I would so love to make one too… not sure it would turn out this way, but I’d give it a go… Love the papers. Pion designs are absolutely new to me, but right now, I’m pinning like crazy. Need to find out where I get these from in the UK. Would love to hear that you did digital papers!! !